Earn up to 106 Points Points. 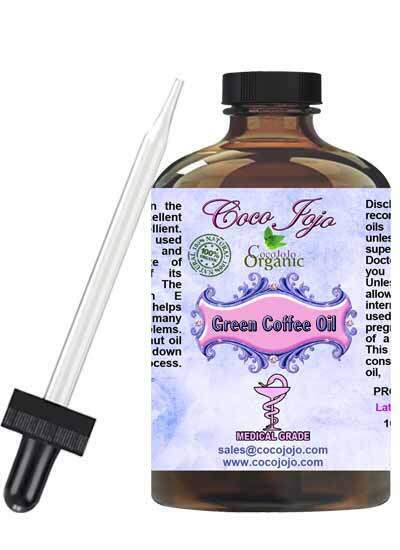 Coffee Bean Oil (Green) 100% Pure Unrefined Pharmaceutical Grade product is Unrefined, which means it is in the purest form that it can possibly be in. A Mixture of Green Coffee Bean Oil with perfect selection of carrier oils and plants extracts provide you the maximum benefits. Coffee has taken a lead role in the treatment of Cellulite. The enzymes in Green Coffee help to break down fat and to smooth puffy areas of skin. For this reason, Green Coffee is now being used in body wraps by some of the world’s most elite spas.During recent years, Coffee has been primarily used as an ingredient in high-end anti-aging formulations. 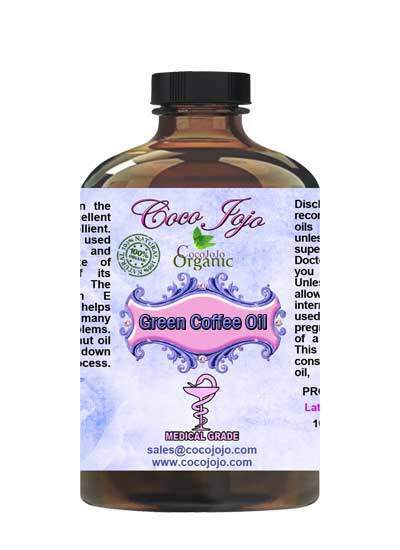 Unlike Roasted Coffee Oil, Green Coffee Bean Oil is pressed from the fresh, green beans or seeds of the Coffee Plant. Roasting coffee beans changes the chemical and aromatic composition of the beans. This oil has not been extracted from a “roasted” bean, and does not possess a roasted/brewed coffee scent.